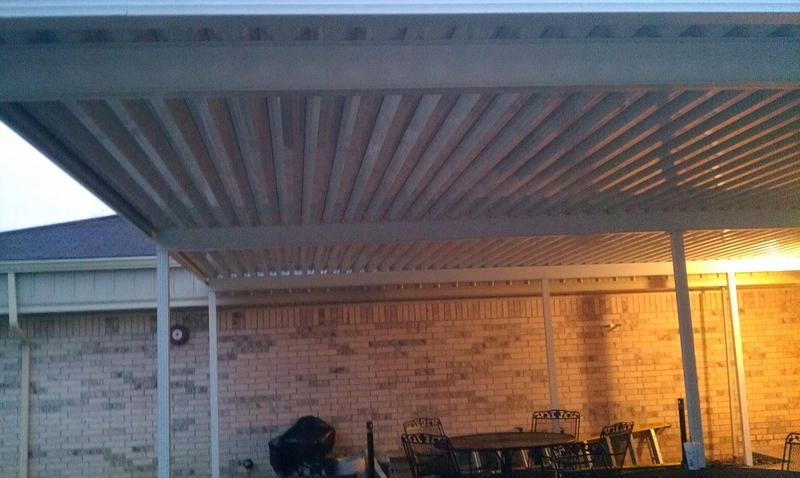 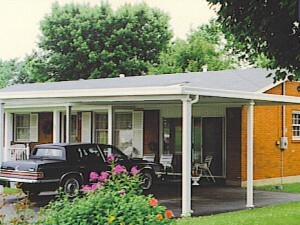 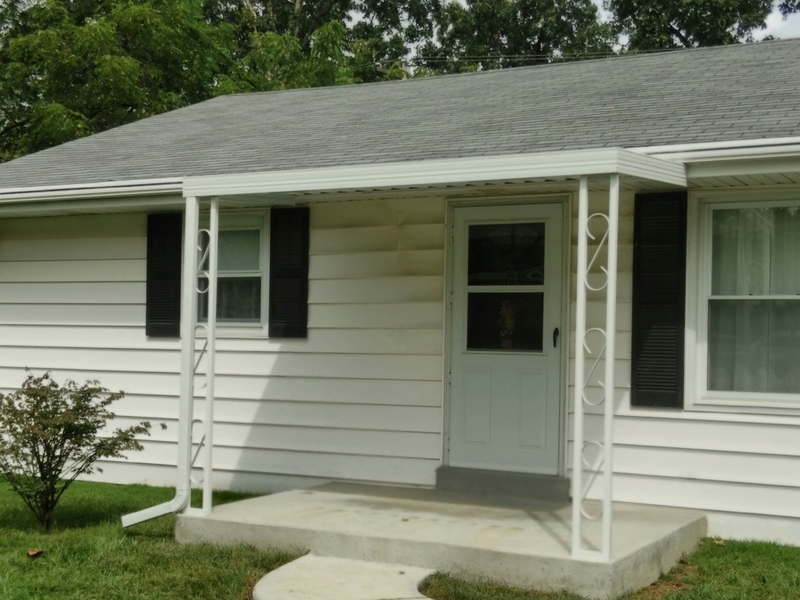 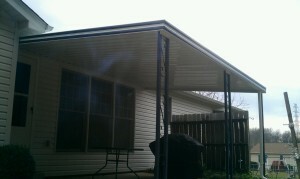 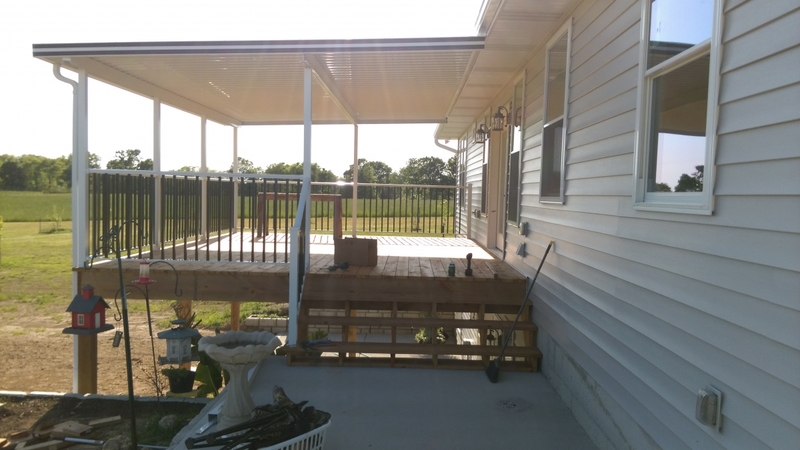 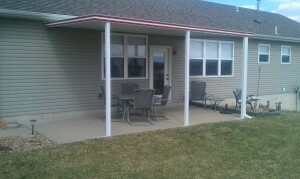 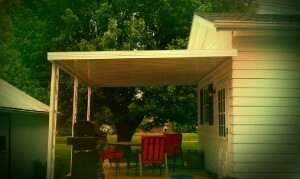 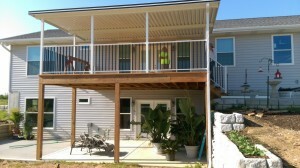 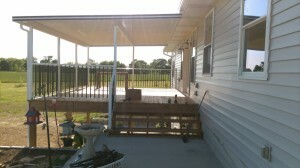 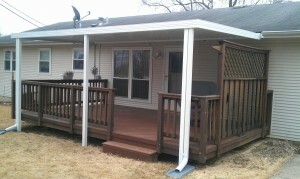 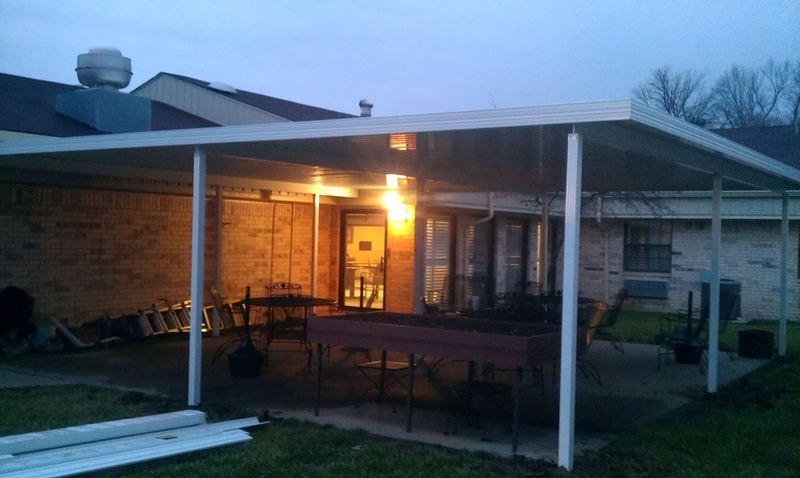 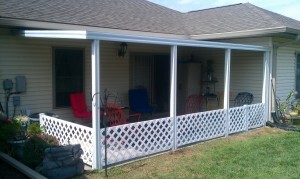 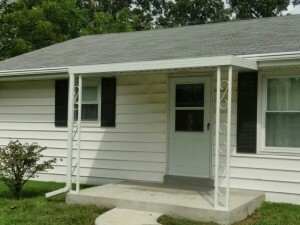 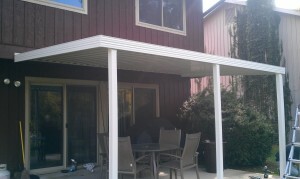 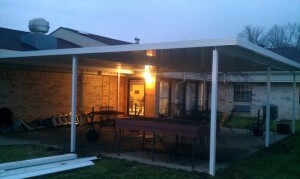 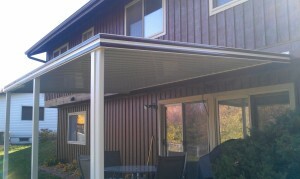 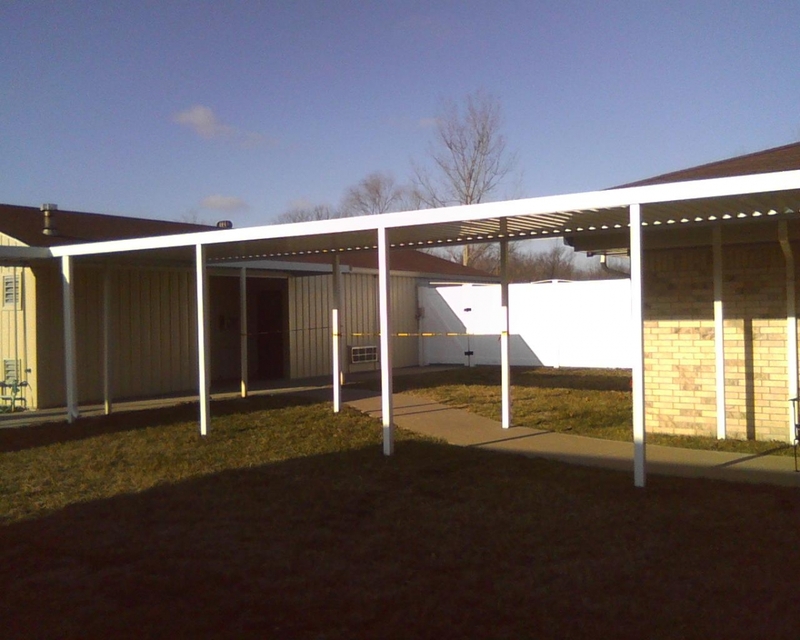 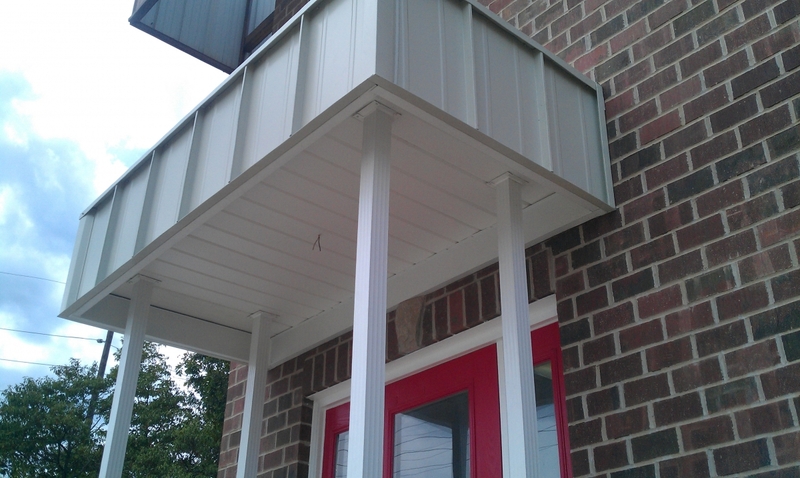 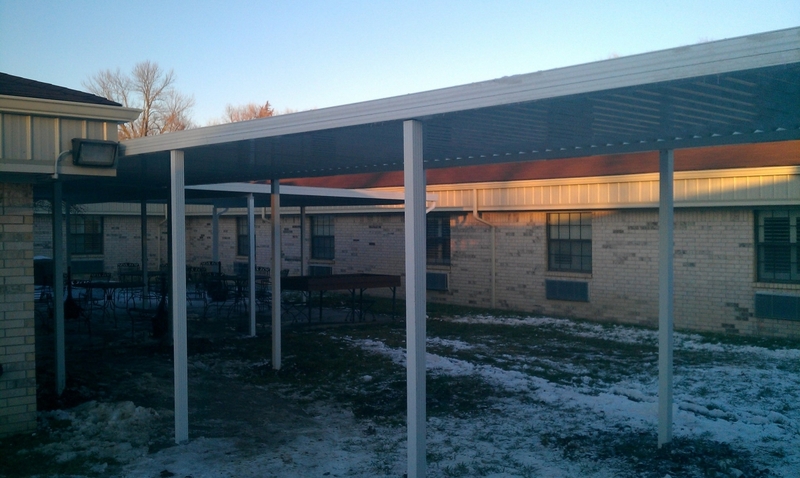 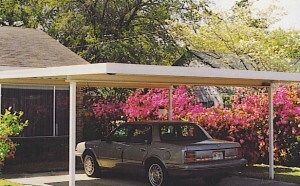 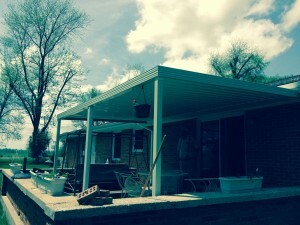 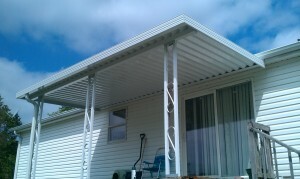 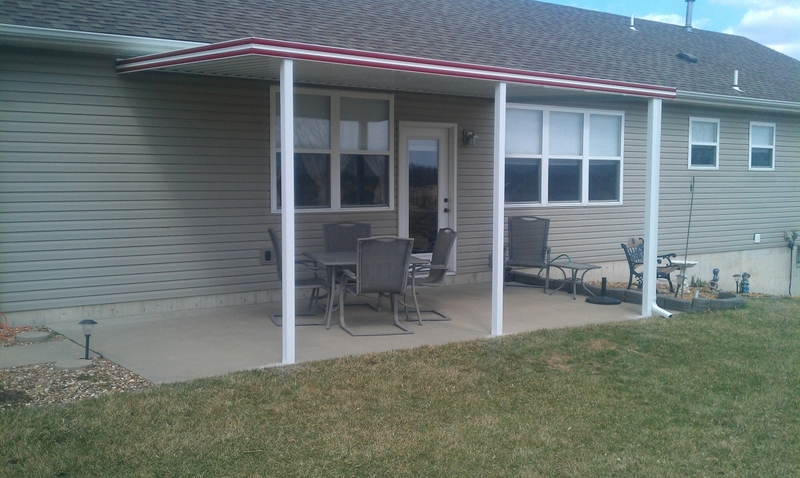 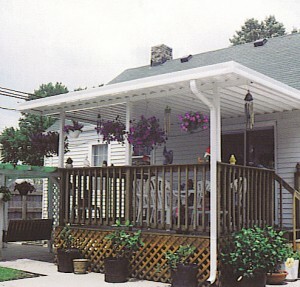 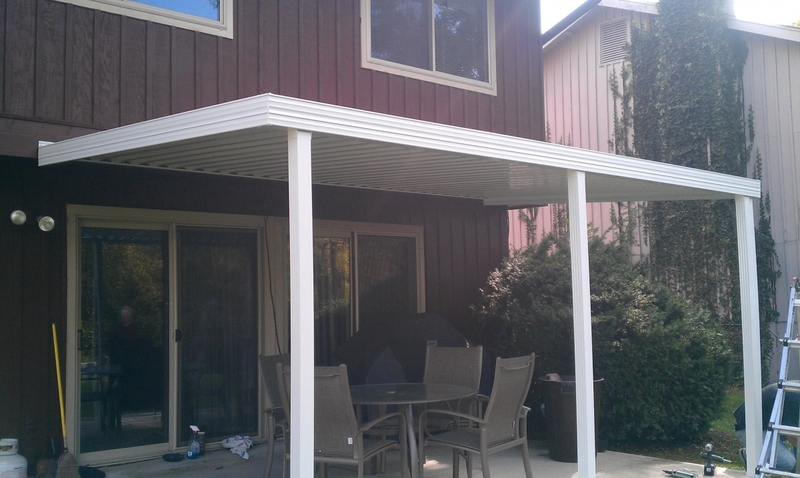 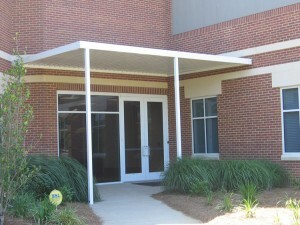 Patio and Deck Covers | Kemco Aluminum, Inc. Patio and Deck Covers – Kemco Aluminum, Inc. 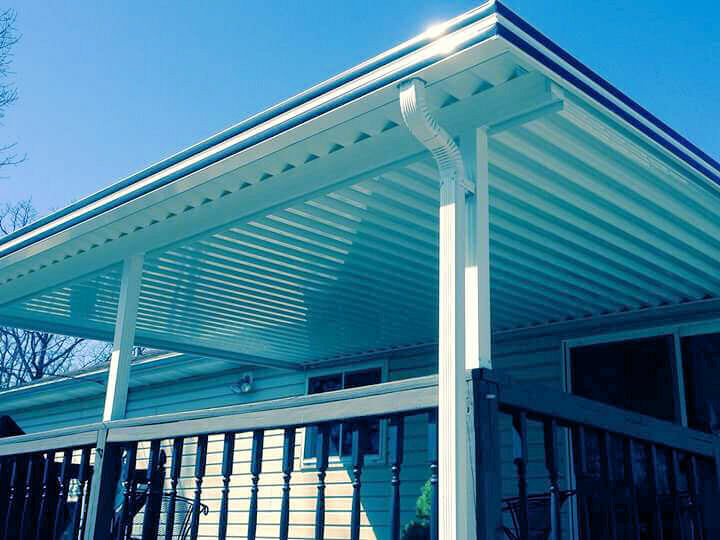 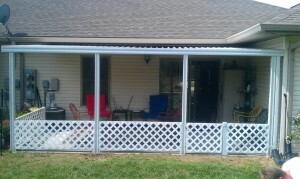 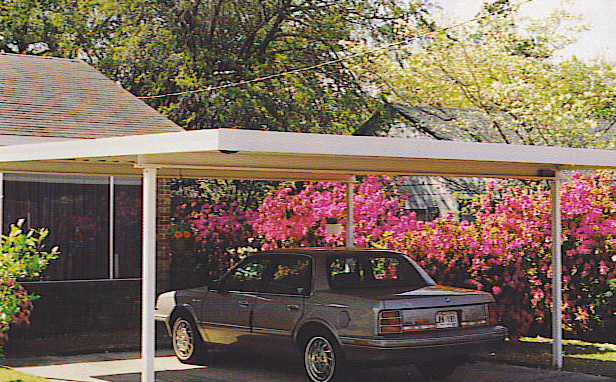 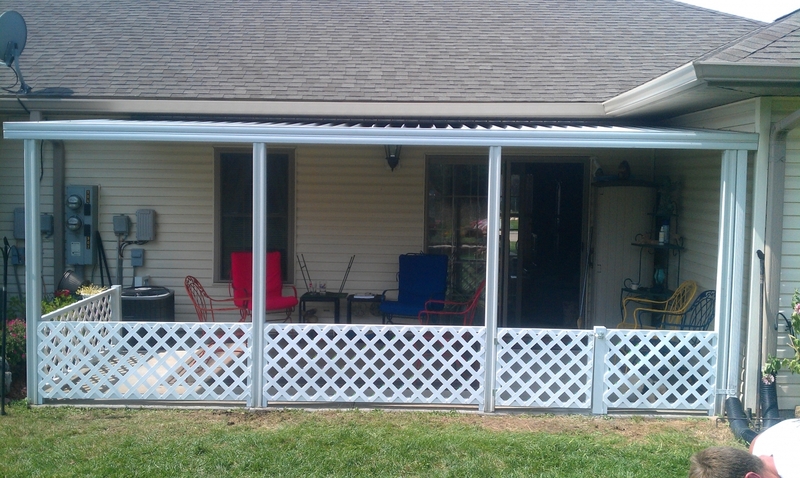 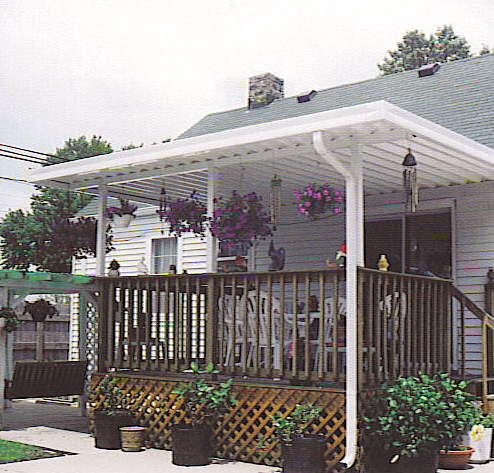 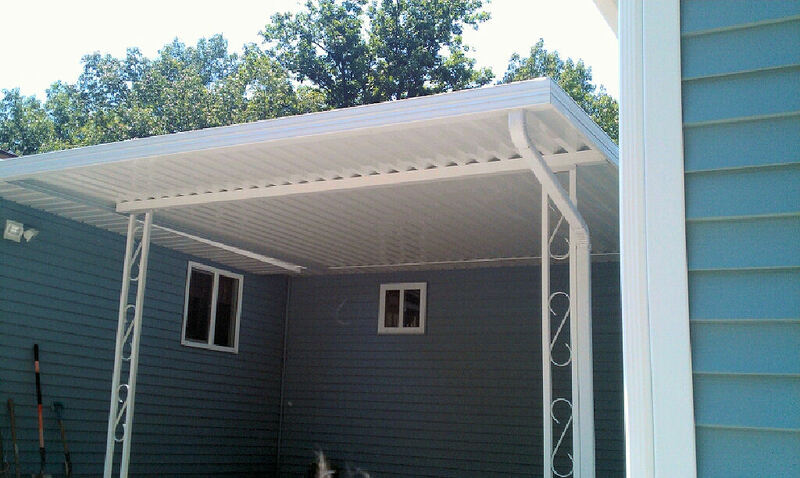 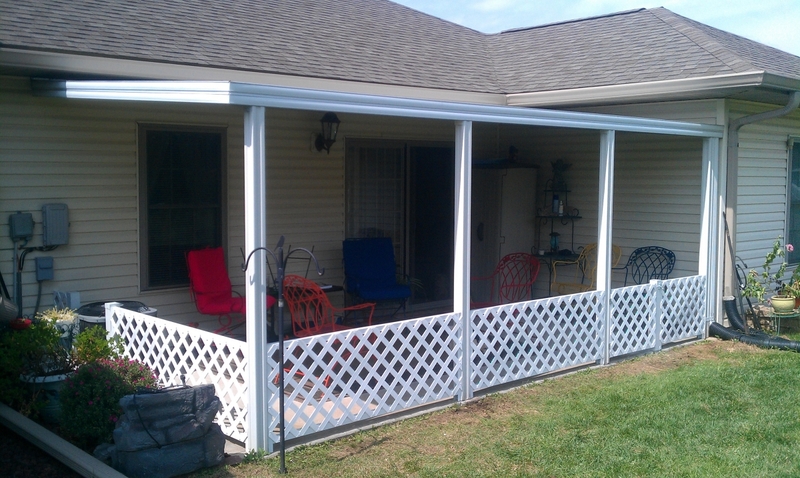 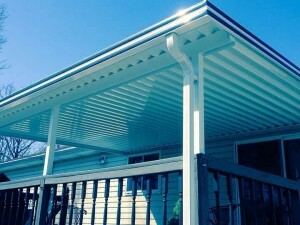 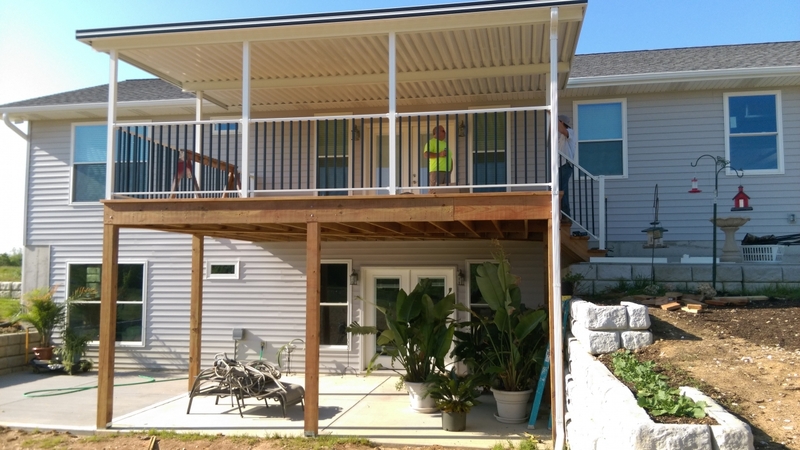 Enjoy the outdoors with protection against rain, the hot sun and UV rays, by installing an Aluminum Kemco Cover on your existing deck or porch. 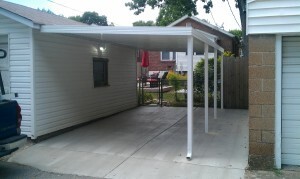 Our covers are custom made to your size. 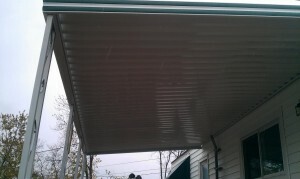 Heavy extruded aluminum frame with built-in gutter system, two piece swivel hanging rail, heavier .032 6” wide V pans which feature a double sided, baked on enamel, gloss finish. The V pans interlock, making it easy to snap or slide in . 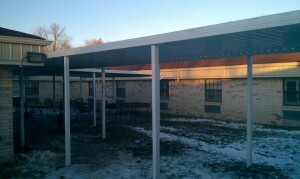 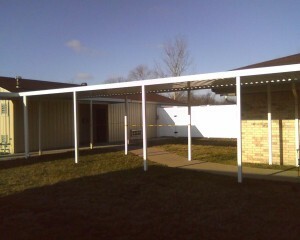 Covers project 12’ without a beam support to give a snow load of 20 Lbs per PSF.